The home had a small kitchen with a deck off the back. 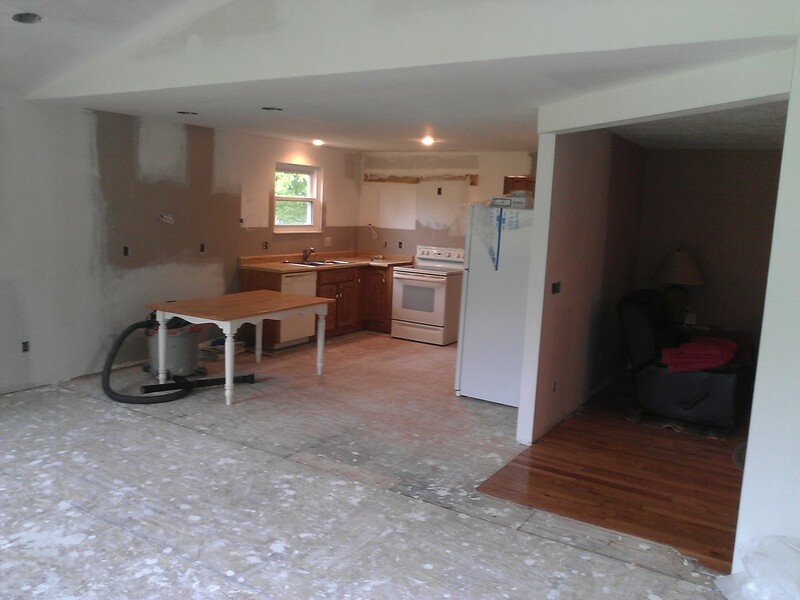 The deck was taken down and a new foundation for an additional put in. 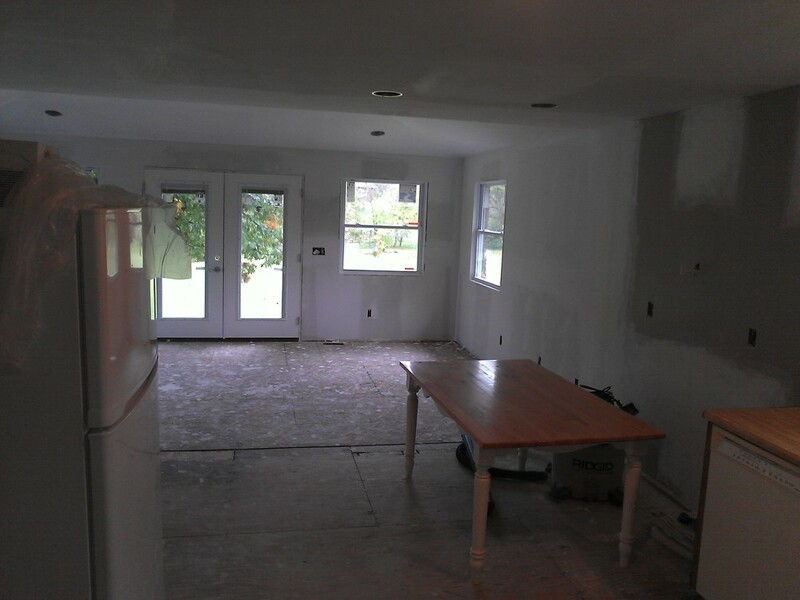 The back of the house was opened up to the new addition which allowed allow for the expansion of the kitchen and the incorporation of a new gathering/dining area. 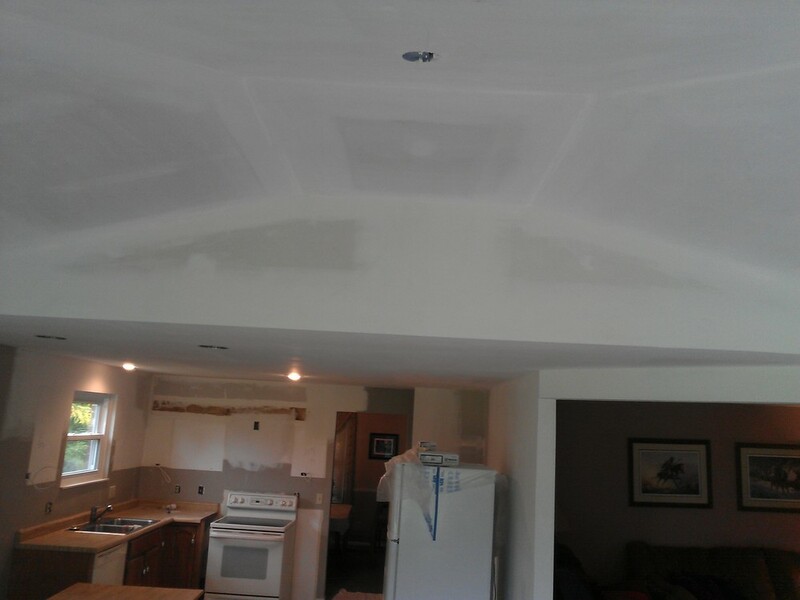 The vaulted ceiling give the room a spacious feel. 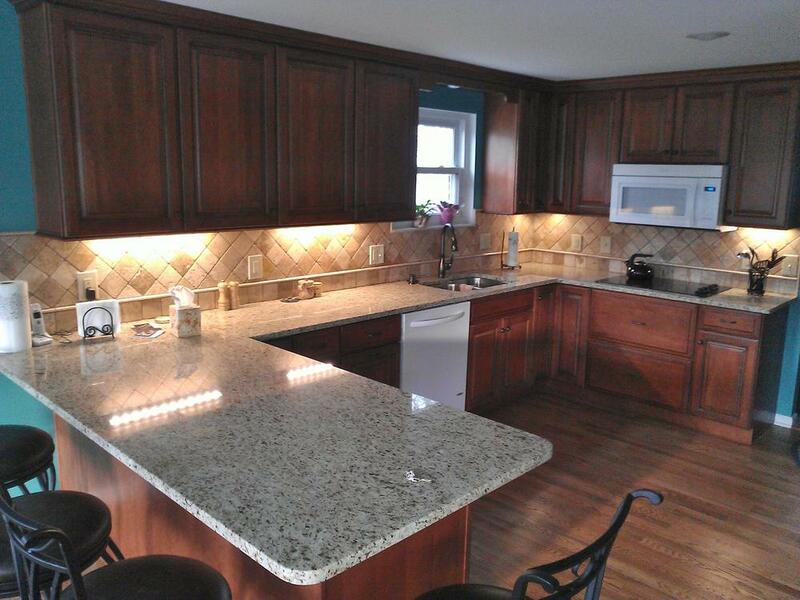 The old kitchen was gutted and completely redone with new cabinets and granite countertops. A new deck accessed from French doors of the addition make this home perfect for family gathering year round. 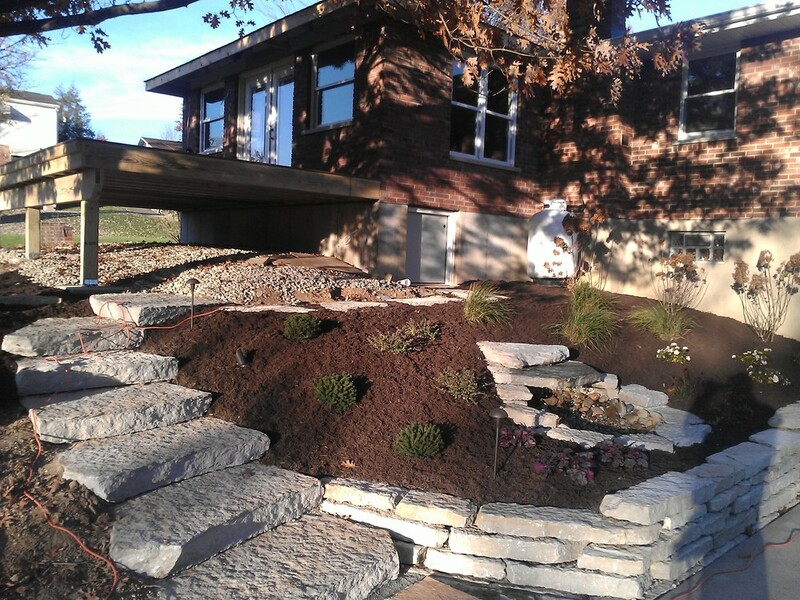 The project was finished off with a beautiful landscape design giving easy access to the new deck from the lower level garage and parking.